As we continue our journey into the twisted minds of those that commit the heinous crime of matricide, we happen across the name Carl “Charlie” Brandt. Born at some point in 1957, Charlie Brandt exhibited no psychotic traits in his youth, resulting in a basically normal childhood. Normal, that is until January 3, 1971. On that date, Charlie Brandt shocked his small Fort Wayne, Indiana community. Brandt, only 13 at the time, retrieved a handgun from his parents’ bedroom and shot them as they prepared for bed. Both parents were in the bathroom at the time. Brandt’s mother, 8 months pregnant, was shot several times as she took a bath, her injuries were fatal. Brandt’s father, who survived the shooting, was shot point blank in the back. Next in young Charlie’s sights was his fifteen year old sister, Angela Brandt. After finding Angela, Charlie raised the gun, pointed, aimed and……..click; nothing happened. He pulled the trigger several times more but the gun never fired. Angela calmed her younger brother down and ran to the neighbors to call the authorities. During questioning, Charlie’s father, Herbert Brandt, told authorities that it was his son that had committed these heinous acts. Police didn’t know what to do with their 13-year-old killer. Charlie was too young to be held criminally responsible for his crimes; therefore he never was charged with murder. Indiana courts ordered that Charlie undergo three separate psychological evaluations. The evaluations were proved all but useless. Psychiatrist Ronald Pancner along with two colleagues labeled Charlie a mystery. The child showed no signs of serious mental illness. After talking with Charlie about his friends, his family and his interests, Dr. Pancner reported to the courts that Charlie showed no evidence of diminished mental ability or capacity. The reports found that the child did well in school and loved a family that loved him; in other words, there was nothing to diagnose. The State of Indiana saw fit to place Charlie in a psychiatric hospital, where he stayed just over a year — only until his forgiving father could win his release. Upon his discharge, Herbert Brandt moved the entire family, including Charlie, to Florida. Mr. Brandt forced Angela and Charlie to swear to never speak of this matter. Even Charlie’s two baby sisters, too young to remember, were never told the truth about their mother’s death. The incident is never spoken of again. Fast forward to September 2004, the impending threat of Hurricane Ivan has Floridians evacuating their homes. Now married, Charlie Brandt is urged by his niece, Michelle Jones, to move him and his wife Teri into her home in Maitland, Florida in lieu of the approaching hurricane. Michelle, a successful television executive, was excited about having her aunt and uncle as guests and invited friends over regularly to socialize. On the evening of September 13, the good times would come to a tragic end. Due to incessant bickering between Charlie and Teri, Michelle had warded off all would be visitors that evening. Expected guests were told by phone that the evening’s festivities would be cancelled. In the background the drunken bantering of the Brands was clearly audible. Eventually however, the phone calls were no longer being answered at Michelle’s home which worried several relatives and friends, including Michelle’s mother, Mary Lou Jones. On September 15, Mary Lou convinced Debbie Knight, a mutual friend of her and her daughter, to stop by Michelle’s home. While on the phone with Mary Lou Debbie knocked on the doors and windows but got no answer. Looking for entrance, Debbie noticed the garage door. Once inside, Debbie was horrified to find Charlie Brandt’s body hanging from the rafters. Due to sweltering temperatures and the length of time since his death, Brandt’s body was in a state of decomposition. Ms. Knight then contacted Maitland police. The officers found Teri Brandt lying on the couch dead, she had been stabbed seven times in the chest. Nothing could prepare officers for what they would find next. In the master bedroom, the body of Michelle Jones was found decapitated. She had been disemboweled with her heart removed. On the bed next to her laid her head. It was obvious to the authorities that Charlie Brandt had murdered the women then taken his own life. After investigating the life of Charlie Brandt, law enforcement officials began looking at cold cases. Profilers were positive that Michelle was not the first person he murdered in that fashion. 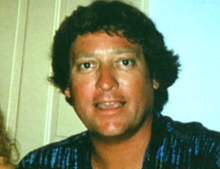 Upon closer inspection, and with DNA evidence, it was found that at least three murders can be attributed to Carl “Charlie” Brandt. Officials admit, off the record, that considering the travels of Brandt and the similarities in murder style; Brandt’s body count over a thirty year period may be astronomical. I’ll immediately take hold of your rss feed as I can’t find your e-mail subscription hyperlink or newsletter service. article has truly peaked my interest. I am going to book mark your blog and keep checking for new details about once per week. I believe it was her Father who said ” you don’t warn you children about their Uncle”. Unfortunately you should. My Uncle raped me when I was five years old and I could never have children because of it. He also molested my sister for years. He was the guy everyone liked and respected. We found out that his wife knew about what he did ( there were a lot more young girls over the years). She never said a word to anyone. He was a rich man and he employed many people, I guess she didn’t want to lose the money & lifestyle. Hey was very good friends with Judges, the D.A. and many of the cops in our town. He did no jail time and he raped and molested his granddaughters all their young lives. He died without ever paying for any of the crimes he confessed to. For accuracy, I suggest you make a slight change to clarify that Teri was Michelle Jones’ aunt (her mother’s sister). Charlie was her uncle by marriage. Thanks for the posts. How did he get to be so evil, at such a young age? He was not sick, but evil. That would account for his exhibiting so few signs of what we label as mental illness… Perhaps we need to expand the definitions. Laypeople have called individuals like him ‘just plain evil” for a long time — no further explanation necessary. And that could have kept him off the streets.